Fundraiser by Bryan Johnson : Save Triste's life. 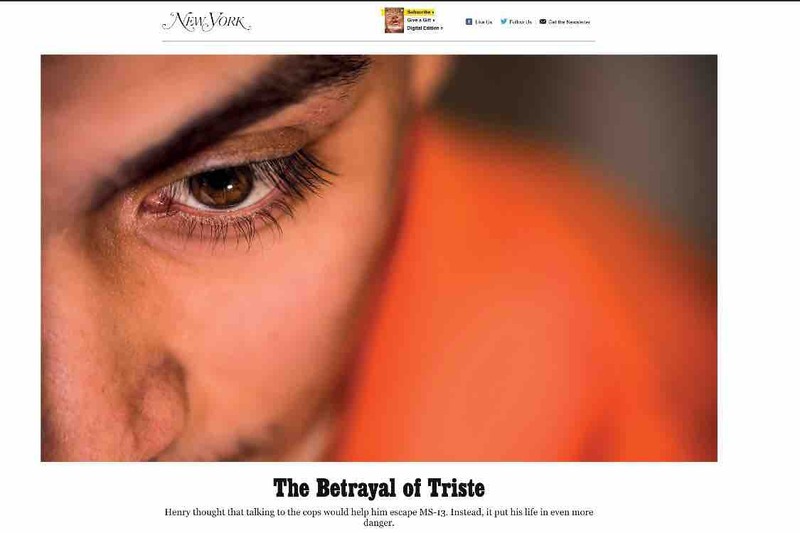 Triste is the teen featured by NY magazine and ProPublica The Betrayal of Triste. Henry thought that talking to the cops would help him escape MS-13. Instead, it put his life in even more danger"
This fund was created and continues to be managed by Henry's immigration attorney, Bryan S. Johnson, Esq. All funds will be delivered to Henry when he is released from detention, whether that means he is granted asylum in the United States or is deported to his native country of El Salvador. He is at serious risk of being killed by MS-13 both in El Salvador and in Long Island, New York. Please help stop this teen's senseless murder. We have good news: Henry is safe and starting a new life in Europe. Thanks to your generous support, we were able to help Henry escape El Salvador in less than a week after he was deported. However, Henry's new life will not be easy--he has no family and few friends in his new country, and it cost nearly $10,000.00 to make his escape a reality. Any support you can give him would go a long way to ensuring he is able to stay safe and thrive in Europe. "Hi, I do not know if you were wondering where Henry is or will be, but let me tell you that I am very thankful to God, and I want to thank each one of you support, and for never losing the hope. I hope and trust in God that this second opportunity is not a false hopes. Today I feel very well in safe place, again I want to thank everyone and everyone you, for trusting me, we'll all have a second chance to better and change amend our mistakes. THANK YOU ALL FOR YOUR SUPPORT AND FAITH, GOD BLESS YOU ALWAYS AND YOUR FAMILY. " On November 27, 2018, the Immigration Judge denied Henry's applications for asylum, withholding of removal, and protection under the convention against torture. As a result, the Judge ordered Henry to be deported. Due to recent security concerns, we cannot disclose what happens to Henry for the foreseeable future. Rest assured, however, that we will continue to fight to save Henry's life. We hope we will have good news at some point in the future. Thank you, again, on behalf of Henry and myself, for your generous donations to save his life. We want to submit letters from Henry's supporters to show the Immigration Judge that he merits a grant of asylum. The dozen or so hours of testimony from Henry has been extremely dark--he has had to recount a stunning amount the brutal violence he has witnessed since he was only a young boy of about 9 or 10 years old. We want to your letters of support to bring light to the dark. Please forward letters (preferably signed and scanned to pdf) to his attorney's email: Bryan@amjolaw.com. UPDATE: After Henry withstood 6 hours of cross examination, the case was adjourned to September 4 to complete cross and re-direct. ICE spent most of its cross trying to (and largely failing) to impeach Henry’s credibility. Instead, right before lunch, the Judge intervened and asked Henry to describe every murder he witnessed. He testified with such great detail cadence that ICE’s lawyer and the Immigration Judge became mesmerized, allowing Henry to recount the horrors of ms13 for 20-30 minutes without interruption. In our opinion, ICE’s cross exam has bolstered his credibility rather than undermine it. We will hope for a decision on September 4. For now Henry will remain detained until then.